Dave Awl teaches classes on a variety of topics related to social media and writing — and he's also available to come to your company or organization for stand-alone presentations as well as ongoing training. Contact us for more info on any of our training offerings. Dave Awl teaches his popular three-week training class on how to use social media to build your audience and transform customers into enthusiastic fans — focusing specifically on the needs of small and local businesses, nonprofit organizations, artists, and independent professionals. Upcoming class sessions are currently being planned. If you're interested in being notified about upcoming classes as soon as they're announced, please contact us! If you're interested in taking any of these classes and would like to be notified when they're scheduled, just let us know and we'll make sure to keep you informed. Pinterest is now the third-largest social media site, right behind Facebook and Twitter. In this special one-night class, Dave Awl focuses on smart strategies for using Pinterest to represent your business, brand, or creative work effectively, along with advanced tips and techniques for pinning like a pro  focusing specifically on the needs of small and local businesses, artists, and entrepreneurs. A comprehensive, in-depth course on how to succesfully launch, manage, and promote your business Page on Facebook — the cornerstone of any effective Facebook campaign. The class takes you from the basics to advanced tips, tricks, and techniques for getting the most out of your official Facebook presence. Learn the ins and outs of tweeting like a pro — from the basics of hashtags, replies, retweets, and URL shortening to techniques for expressing yourself concisely within the 140-character limit (without resorting to incomprehensible gibberish!) We'll also cover Twitter etiquette, tips for bulding your following, third-party apps that can enhance your Twitter experience, and techniques for marketing and promoting successfully on Twitter. These are all 1-2 hour stand-alone presentations that Dave can bring to your company or organization. For more information about any of these training offerings, just ask! "Dave's teaching style was conversational, amusing and didn't leave me feeling like a tech-dummy, but he managed to fit a great deal of useful, technical information into such a pleasant experience. 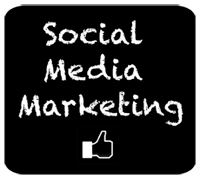 I believe it will improve my Facebook marketing strategies going forward." "Dave has been presenting 'Facebook 101' to our organization. His presentation is insightful and engaging — successfully connecting with an audience ranging from Facebook novice to expert." "Dave spoke on Social Media for Churches to a group at my church — he is a great speaker, a thoughtful analyst, and expert on social media. He developed a thorough presentation, and he tailored it to fit the concerns that our church had. Dave's writing and his copious research would be great assets for any organization trying to develop or refine a social media strategy. He understands the technology/medium, and he is a good listener when people ask questions." "From the first session of Dave's class, the way I approach using Facebook both professionally and personally changed. This was extremely valuable ... I would recommend this to anyone with a small business, nightclub, or band, in particular."